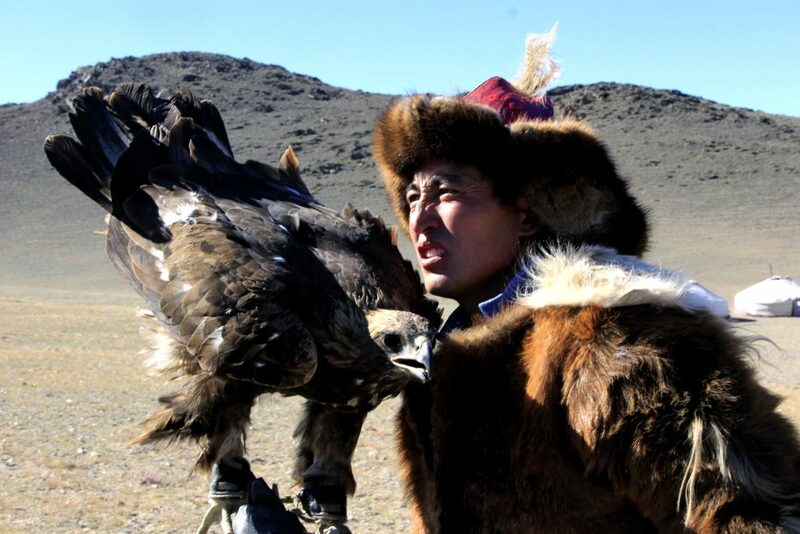 There are approximitaly 250 eagle hunters in Bayan-Ölgii, which is located in the Altai Mountains of western Mongolia. They use eagles to hunt foxes and hares during the cold winter months when it is easier to see the gold colored foxes against the snow. We’ll arrange flight to/from Ulgii and our partner family will pick you up at the airport and then you’ll stay with them for 4 days to explore their daily life style. You’ll stay in their spare kazak colorful yurt and eat with them. You’ll ride horses and train eagles. If you’d like to travel to Tavan Bogd National park please let us know and we’ll be able to customize the tour that suits to your needs. They will accept up to 4 people at once and it’ll cost $200US per person for 4 days. The price covers accommodation in their yurt, breakfast, lunch and dinner and one day horse riding for training eagles. Please click here for tour booking terms and conditions!